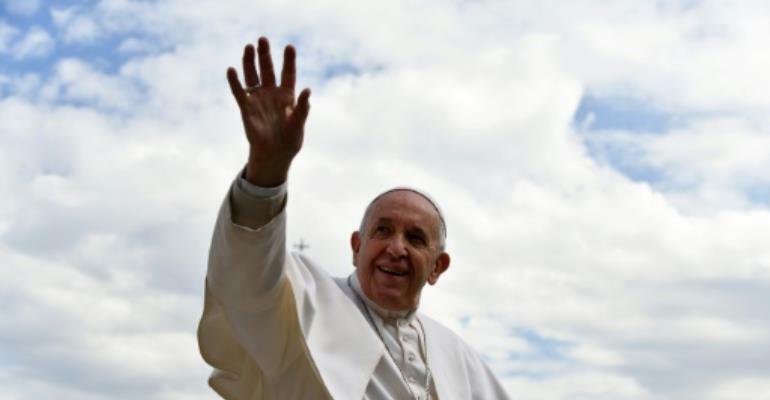 Pope Francis is to visit flood-ravaged Mozambique and Indian Ocean nations Madagascar and Mauritius in September, the Vatican announced on Wednesday. He will travel to their capitals Maputo, Antananarivo and Port Louis during the September 4-10 visit, a statement said, with the precise programme to be decided later. Mozambique is reeling from a cyclone and floods that this month killed nearly 500 people and sparked cases of cholera. Senior Mozambican priest Giorgio Ferreti said in February Francis would this year make the first visit by a pope to the southern African nation since 1988. President Filipe Nyusi invited the pontiff to visit Mozambique during a trip to the Vatican last September, announcing the possible trip to reporters in a breach of Vatican protocol. The pope reportedly joked: "If I'm still alive." Mozambique, a former Portuguese colony, has around four million Catholics. Pope Francis kicked off the year with a historic public mass for an estimated 170,000 Catholics at a stadium in the capital of the United Arab Emirates in February. It capped the first ever papal visit to the Gulf where Islam was born. Francis has made outreach to Muslim communities a cornerstone of his papacy. Twenty percent of Mozambique's population are Muslim and the country has been rocked by a jihadist insurgency in the north since October 2017. Pope John Paul II visited Mozambique in 1988 and witnessed first-hand the devastation wrought by the long civil war. European colonisers brought many Indians to Mauritius, where around half the population is Hindu and a third Christian, mostly Catholic. Madagascar cardinal Desire Tsarahazana said in October that the pope would visit the East African island nation with a population of around 25 million this year. The former French colony has an extreme poverty rate around 75 percent, and many young children suffer from malnutrition.